The new year started and still we talk about iPhone. With the start of 2010, new feature are added to iPhone for its users which is not only attracting new customers but also retaining the old ones. Twitter co-founder, Jack Dorsey has started up a new company called Square. Square has introduced a device which will be used on iPhone. Are you wondering what the function of this device is? This device will work while attaching on the headphone jack of iPhone and the feature can be said to exchange money. 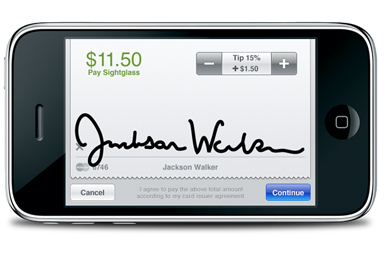 It will enable the users to execute their credit transactions via iPhone. This device does not require any installation and works directly after it is plugged-in with iPhone. It made the credit card payment easier. No matter who you are and where you are, at home, office, walking through a street, in a garden, or even a desert, you can easily make you credit card payments just by plugging-in the device with your iPhone. According to Dorsey, he got the idea of introducing this device nearly a year ago. He knew a glass artist who lost his $2,000 only because his customer paid him through credit card which he was unable to accept. Then Dorsey though to make this facility available to all via iPhone. This device is actually a credit card reader which reads the credit card and turns your handset in a credit processing terminal. It is really a big business solution. When Apple released iPhone, even they may have no idea that their gadget will become a credit processing terminal to the business people. This innovation will really prove effective for the business owners. They can proceed their credit transactions while they are anywhere without dropping the response or dilatory. Good news for the iPhone fans! Little Black Book Case is now available for iPhone 4 that was first available only to iPad and iPhone 3Gs. 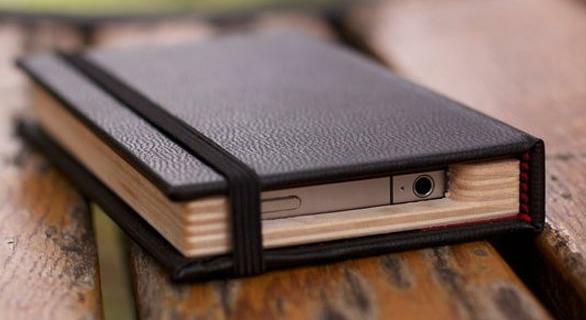 Its look and feel is just like a little traditional notebook filled with papers and used with pen but inside is actually your iPhone. This unique looking case will definitely protect your iPhone and give it a charming look. This is a slim and stylish phone case best to save your iPhone from scratches and sudden harms. Its not wrong to say that it can secure your iPhone to be stolden. Though it is wrapped in the case but still you are able to use its necessary ports. It comes in customized sizes for your iPhone that means it is not only the one fit to iPhone 4. You can place your order for the size that fits your phone even for iPad. This iPhone accessory has made carrying iPhone more convenient and handy and I think tiny gadgets like these get popular very fat as compared to the big ones. Definitely all iPhone holders will love it. Depending on its size, Black Book Case for iPad comes with $55 and for iPhone it comes with $40 of price. Many of us have iPhones, no doubt having iPhone make you feel special for such an innovative gadget. Many people already have bought iPhone but how can you distinguish them from yourself if you have bought now? Every new advancement in the Apple’s technology makes its customers feel the difference and excitement. They are working their best for their customer satisfaction. By spending only $29.99 you can get new cordless wall charger for iPhone. 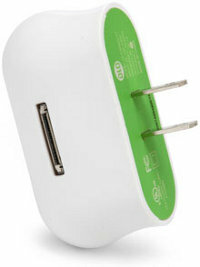 With help of this charger, you can charge your iPhone and iPod fast rather than regular charger. If we talk about its pivoting feature then you can charge your iPhone without wire and cables and it can be hanged on any wall of your room with help of a socket. There is great news for iphone owners who are disappointed with AT&T services. Verizon’s CEO “Ivan Seidenberg” confirmed that the company has intention to release a Verizon iPhone in upcoming period. 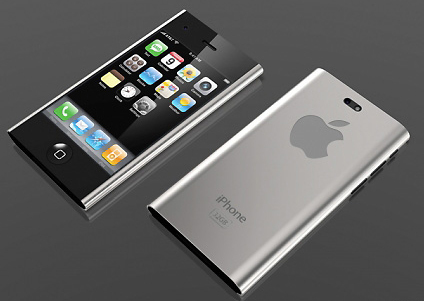 There are so many rumors around the web about its release date but it is expected that this iPhone can release around June 2010. 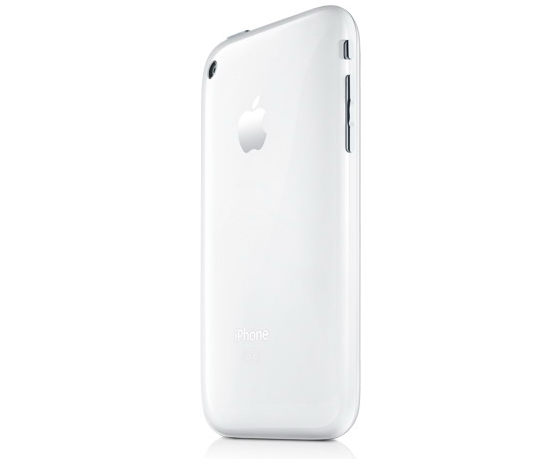 This iPhone 4G will have a front facing video camera and a higher spec back-camera with flash. This phone will also have a Micro-Sim like iPad. This Micro-Sim can help in making data more secure. It has completely cover exposure with aluminum back. Consumers start talking about features of new iPhone but they had no idea how the new phone looked like. According to its photo it is a sleek-looking gadget. There may be a chance while driving a car when you keep your iPhone with you, a little crash can cause your iPhone fiddle away. Xtand Go is a solution to this problem when you are driving a car. 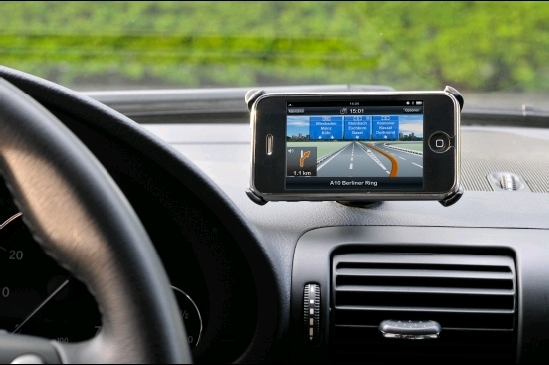 Xtand Go is a small well-built device that you can use to dock your iPhone to the windscreen or the dashboard of your car while you drive. It does not only protect your phone by holding it in strong grip but also enhances your style by adding a new iPhone accessory right at your driving seat. So it can be called a good combination of fashion and a valuable accessory. This device is useful to keep an active eye on your phone while driving and it maintains good access to the side control buttons. It is flexible enough to rotate the phone vertical/horizontal easily and easy to adjust in any setting. Instead of a plastic lever to control the suction cup of device, it comes with a screw collar design to attach it to a surface. That screw collar is also flexible one. Xtand Go can not only be used to grip 3GS/3G iPhone but equally useful to clip other smartphones, PDA phones, PND etc securely. 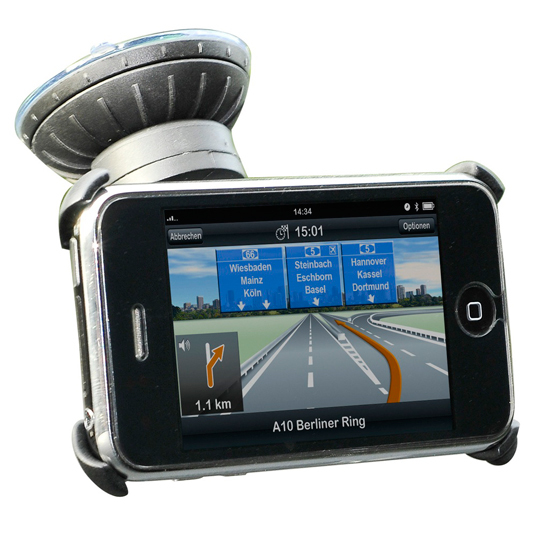 It holds most flexible mounting system that makes it perfect for traveling. It is available for $39.95 at company’s online stores.